The Industry's Most Capable EMI/EMC Testing Lab | Elite Electronic Engineering, Inc. 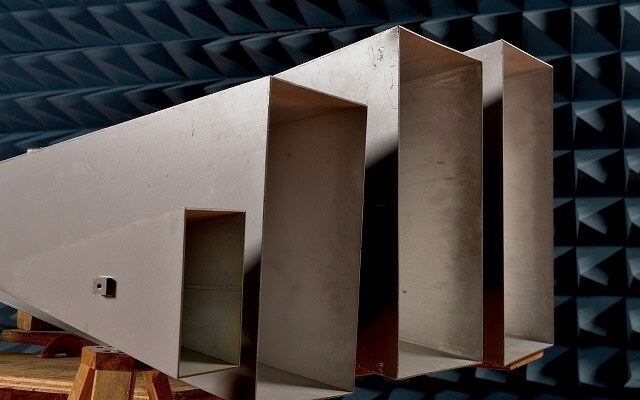 The industry's most capable Electromagnetic Compatibility (EMC) testing services. For over 60 years, Elite has been a recognized leader in both electromagnetic compatibility (EMC) and electromagnetic interference (EMI) testing. Our unrivaled expertise, in tandem with state-of-the-art test equipment, is helping products across a wide range of applications and industries meet product safety standards through EMI and EMC compliance. What makes our EMI/EMC services Elite? Personnel: Our testing services are handled by 24 full-time engineers, eight senior personnel, and two full-time software engineers, all of whom provide unrivaled technical support and make us one of the industry’s most trusted EMI/EMC testing labs. What’s more, 17 of our staff members are iNARTE credentialed and many Elite personnel are active in important industry standards committees – they’re at the ground level of understanding and contributing to new regulations and technology. 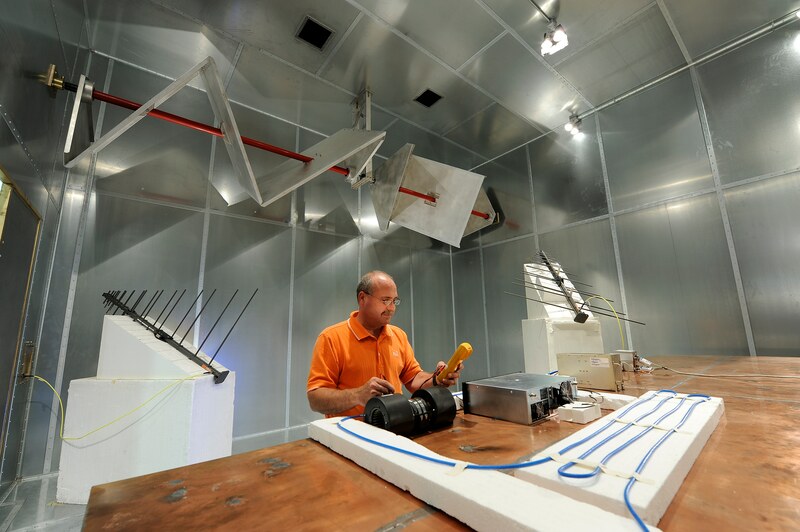 Facilities: We have an expansive suite of absorber-lined test chambers including five rooms configured for Automotive CISPR 25 testing, two 3-meter chambers configured for CISPR 22, and two chambers configured for whole-vehicle testing (see below). We also have three reverberation chambers, our largest having a uniform test area of 8Ft x 16Ft. Equipment: With over 2,500 pieces of calibrated test equipment, our EMI/EMC testing labs are the best-equipped lab in the industry, helping you achieve compliance quicker. We carry more high power amplifiers, spectrum analyzers, receivers, scopes, antennas, horns, and other specialized equipment than any other lab. Our HIRF capabilities extend to 5,000V/m, we offer lightening tests up to level 5 for all DO-160 waveforms, and we can provide high altitude EMP testing at 50,000V/m. 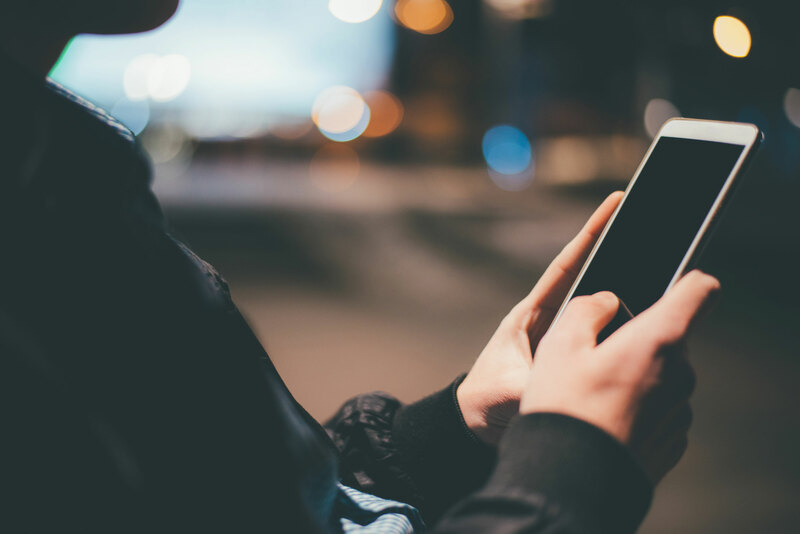 Quality: Elite is ISO17025 accredited by two organizations and ISO Guide 65 accredited for certification of wireless devices in the US and Canada. 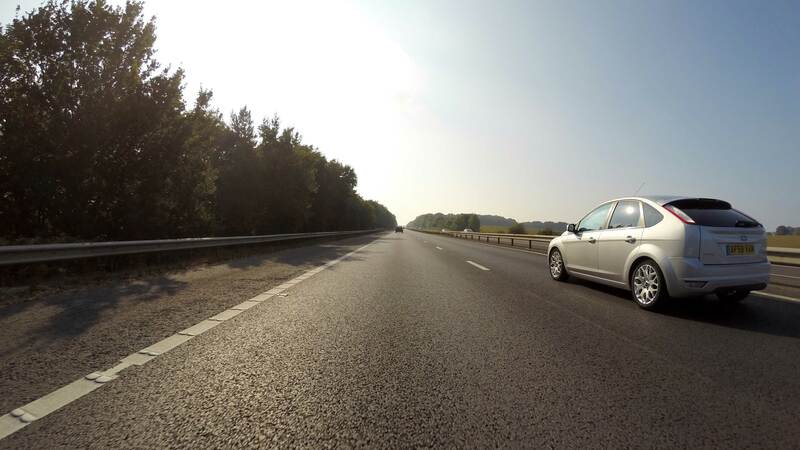 Our expertise and methods are highly regarded by assessors, as well as by our clients, major integrators and OEMs. Customer Focus: At Elite, we’re recognized for tackling the toughest projects and applications. We know how to get it done. Plus, we’ve learned over years that our customers matter first and we put all our energy into delivering services our clients need and expect. 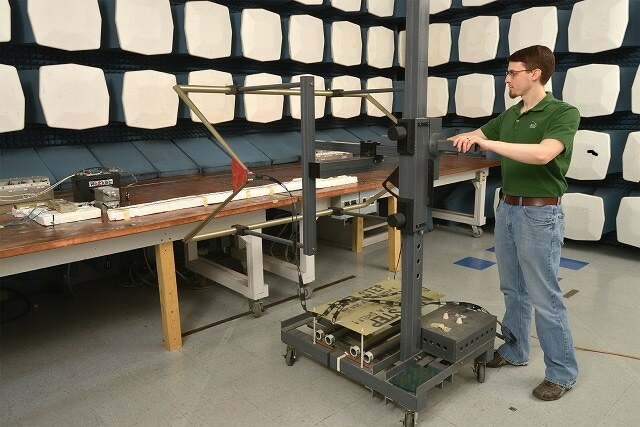 Learn more about Elite’s unique EMI and EMC test labs, processes, and brand of engineering services we offer our clients, each and every day. 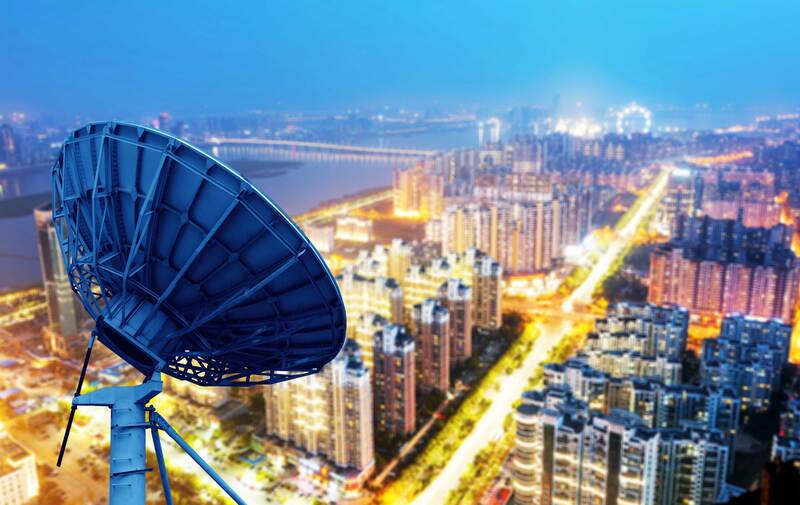 Antennas make wireless communications possible. Elite assists with design consulting and validation testing to ensure maximum antenna performance in any application.